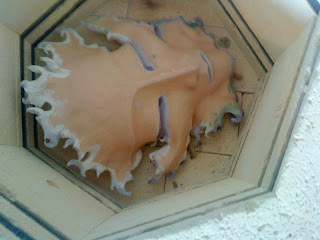 It's been bisque fired already and is now back in the kiln on a stoneware firing. The glaze is on the back as well as all the areas which will not be covered by mosaic. The stone firing ensures its durability in the garden.